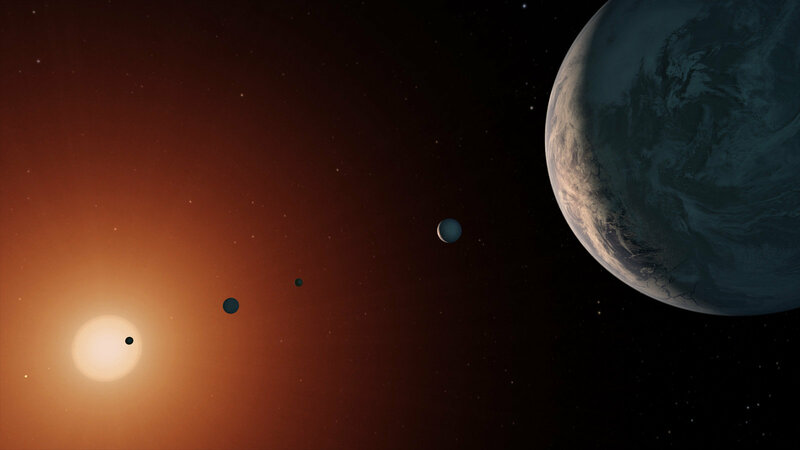 Above: This illustration shows what the TRAPPIST-1 system might look like from a vantage point near planet TRAPPIST-1f (at right). Credit: SETI Institute. 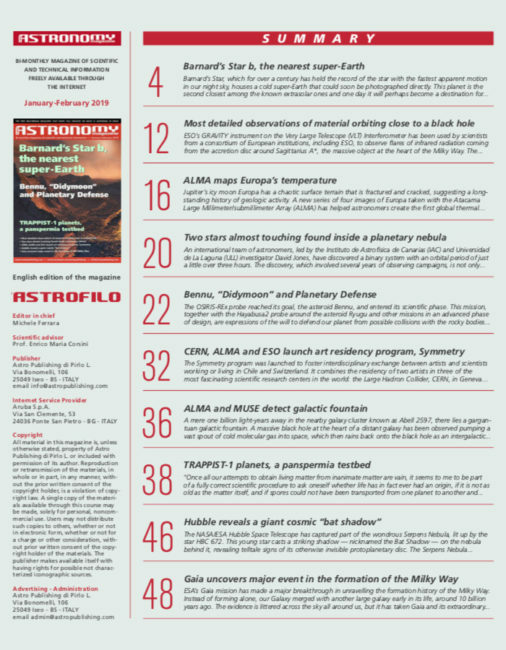 Slightly late to the posting game – the January-February issue of Free Astronomy Magazine is available for your reading and downloading pleasure. 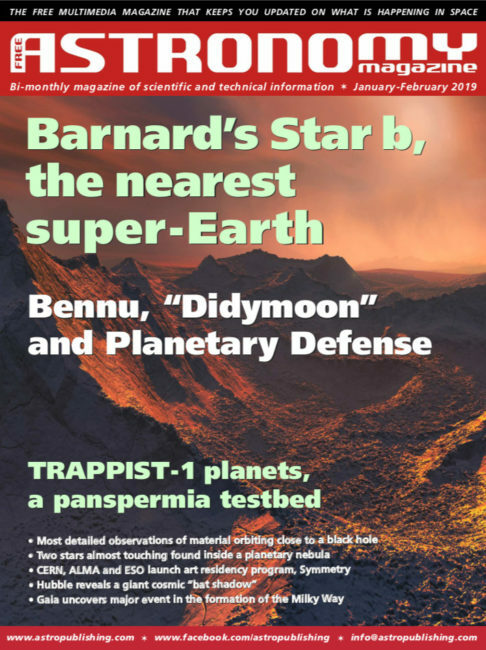 Highlights from the original content (h/t Michele Ferrara) include an excellent introduction to panspermia and the wonderful ways in which small, dense solar systems (like TRAPPIST-1, one of the only solar systems with its own website – www.trappist.one) might serve as test beds for better understanding if such an explanation is applicable to ourselves and our Earth – either from a local source (Mars?) or from the greater beyond. Click the Table of Contents image below for a full-size view.